BankSA is a provider of credit cards, home loans, personal loans, bank accounts, investment products, and superannuation funds. If you’re considering a BankSA card, check out what’s available below in our comparison table based on a monthly spend of $1,000. Please note that this table has been sorted by annual rate (lowest to highest). BankSA also offers business credit cards, which are not summarised on this page. 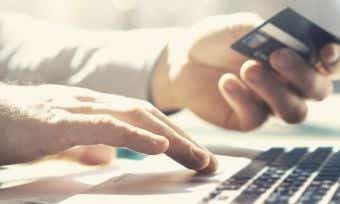 For more info on business credit cards, check out our Business Credit Cards section on our site. For more information in eligibility requirements, please refer to the BankSA website. First, check whether you are eligible to apply for a BankSA credit card. See above for the eligibility requirements. If you meet the eligibility requirements, you can apply online – it takes less than 10 minutes for new customers and just 5 minutes for existing BankSA customers, according to BankSA. Have your ID and income details handy and check our list of documentation you may need when applying for a credit card. You can expect to receive an instant response (BankSA). In some cases, an instant response cannot be made and you will need to provide further information before the card can be approved; in this case, the card provider will contact you. You can check your application status at any time by calling 13 13 76. How do I activate my BankSA credit card? 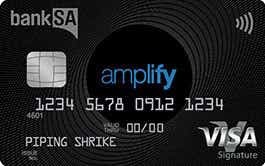 You will have to activate the card when it arrives before you are able to use that card. 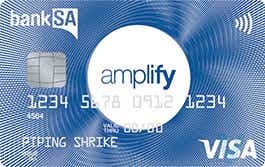 Activate the card using online banking. How do I manage my BankSA credit card through online banking? You can manage your BankSA credit card through online banking using the Internet Banking or the mobile banking app. Use online banking to do things like set up alerts, view your recent transaction history, view your balance, and more. 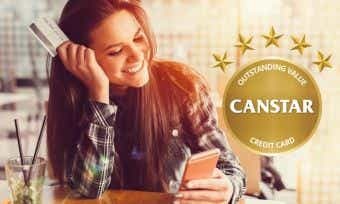 How is interest calculated on my BankSA credit card? Interest is charged when you carry a balance on your BankSA credit card. 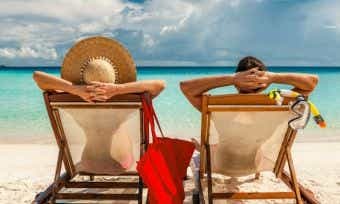 Interest is charged on cash advances from the date of withdrawal (fees and charges apply) and balance transfers from the date of transfer. 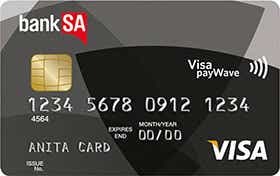 Interest is charged on all purchases made using the BankSA No Annual Fee MasterCard from the date of purchase, as this card does not offer any interest-free days. Up to 55 interest-free days apply to BankSA credit card purchases if you have paid the balance in full for the previous month’s statement and for the current month’s statement (the statement on which the purchases are listed). 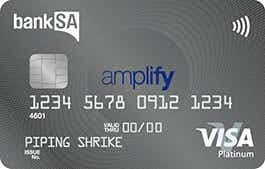 What will my credit limit be on my BankSA credit card? Your credit limit for a BankSA credit card will be determined based on the information you provide in your application, keeping in mind the minimum and maximum credit limits available for each card. Find out more about how credit limits are determined here. You can decrease your credit limit at any time by calling 1300 784 934. You can request an increase to your credit limit after 6 months of holding the card, by applying through online banking, completing and posting a physical application form, or by calling 1300 784 934. How do I close my BankSA credit card account? BankSA was founded in 1848 as The Savings Bank of South Australia. It began as a one-man band – John Hector opened the bank in a single room provided free of rent by a mining company. The first person to make a deposit was an Afghan shepherd named Croppo Singh, who placed his life savings of 29 pounds in the bank. One month later, the new bank made its first loan – 500 pounds to John Colton for the purchase of two acres of land with a house, cottage, and stables. Today BankSA has 120 branches in South Australia and the Northern Territory and is the largest financial institution in SA. BankSA, Bank of Melbourne, and St.George became part of the Westpac Group in 2008. BankSA plays a key role in the SA community through the BankSA Foundation, donating to approximately 100 South Australian and Northern Territory-based charities each year. They also sponsor of major state events such as the Adelaide Fringe festival and Adelaide’s Royal Show. Appeals and Disaster Relief– e.g. Daffodil Day, SIDS Red Nose Day, Eyre Peninsula bushfires. Enabling community events– e.g. partnering with Adelaide Fringe Festival since 2005. The BankSA Marquee– available for use by community organisations and fundraising events throughout South Australia. Volunteering– one day of paid leave per year for staff to volunteer for the cause they care about. As for protecting the environment, BankSA has reduced the paper they use and only uses paper from sustainably managed forests and industry-accredited mills. They have introduced energy saving fixtures in their lights, and installed timer delay switches to make sure all branches turn off non-essential lights every night. BankSA also participates in Earth Hour every year. As for computers, BankSA partners with Cartridges 4 PlanetArk to recycle ink cartridges and toners.